Tara McCabe is a managing director of Morgan Stanley and chief operating officer of Morgan Stanley Private Wealth Management. Her career has spanned leadership roles in wealth management and asset management. Prior to joining Morgan Stanley, Tara worked at the Permal Group, where she oversaw product strategy, marketing, and investor relations for institutional and high net worth clients. 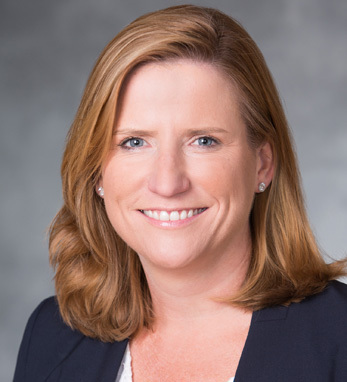 At Morgan Stanley, her earlier roles included chief administrative officer for investment products and client solutions, chief administrative officer for alternative investments, and other senior product development roles. She began her career at Prudential in marketing. A first-generation Irish American, Tara is proud of her Irish heritage and that both her parents are from lovely Leitrim. Tara is a board director of the American Ireland Fund and was instrumental in developing their Young Leaders program. She is an active supporter of the Irish Arts Center and Cristo Rey High School. Tara graduated from the College of the Holy Cross and studied at the National University of Ireland Galway.